Near the town of Split lies the medieval Klis Fortress, which was built in ancient times and later became the seat of many kings of Croatia. Perched over Split, the view of this fortification is spectacular, as you will see from this amazing drone video by contributor Justin Poore which he made using his DJI Mavic Pro drone. The fortress was one of many sites in Croatia to chosen as filming locations for HBO's Game of Thrones; it appears as the City of Meereen in Slaver's Bay in Season 4. 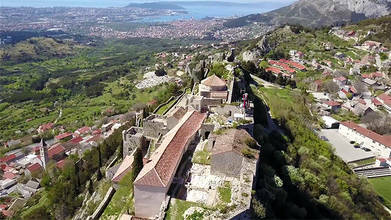 Description: This is a short clip pulled from the longer vlog featuring Klis Fortress in Croatia. The castle was an amazing long and thin fortress on top of a hill that overlooked the city of Split. And of course it's been in Game of Thrones! Shot on my DJI Mavic.